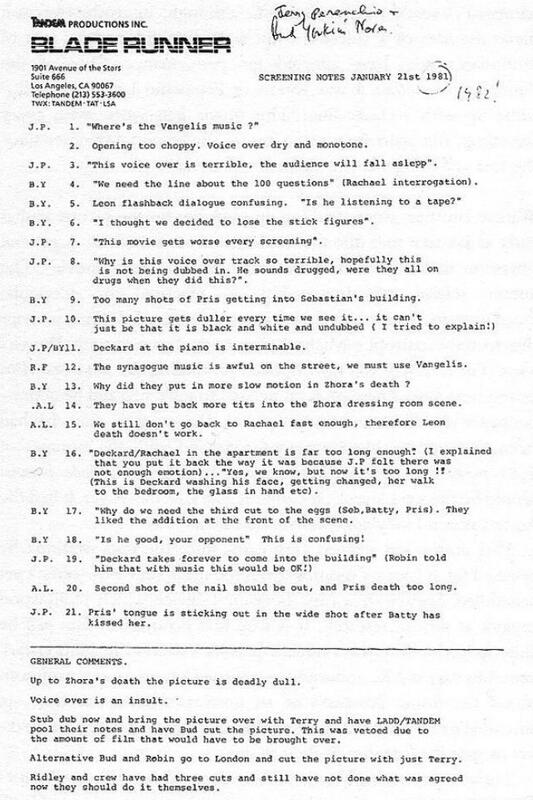 Old notes show that movie executives initially hated "Bladerunner"
One exec wrote, "This movie gets worse every screening"
Reddit has uncovered a copy of notes that three film executives at Tandem Productions wrote during a screening of Ridley Scott's 1982 sci-fi masterpiece, "Bladerunner"-- and apparently they did not care for it much. "This movie gets worse every screening," wrote one producer. "The voice over is an insult," reads another comment. Also, "Where's the Vangelis music?" "We must use more Vangelis." (They might have been right about that call-- "Bladerunner" won a Golden Globe for best original score).